Draft: 2006, Texas Rangers, 10th rd. Married, wife's name is Jordan...The couple has a daughter, Emma...Signed by Rangers scout Jay Eddings... Attended Fort Smith Christian (AR) HS...Played baseball, track, basketball, and golf...Won state titles in both baseball and track... Was the school's co-valedictorian…Played baseball at the University of Arkansas-Fort Smith...Member of the school's Hall of Fame…Originally drafted by the Rangers in the 10th round of the 2006 First-Year Player Draft. Hit .371 (13-for-35) with two doubles, one triple, one home run, and five RBI in 23 games in August...His 23 games were the most in a month since playing in 24 games in May 2014 ... Placed on the 10-day DL on 9/12 with a fractured right finger ... Had his contract selected from Triple-A Norfolk on 7/30 ... Recorded his 12th career triple on 8/16 at SEA, his first since 10/4/15 at SEA while with Oakland ... Recorded his 10th career multi-stolen base game on 8/3 vs. DET...Is 82-for-99 in stolen bases for his career ... Hit a walk-off single in the bottom of the ninth inning on 7/31 vs. KC, his first career walk-off hit ... Slugged a two-run home run on 4/16 at TOR, his first home run since 8/21/13 ... Played 31 games in right field (12 starts), nine games in center field (two starts), and 30 games in left field (11 starts)...Made 16 pinch running appearances ... Since 2009, his stolen base percentage of 82.8% (82-for-99) ranks eighth in the majors among active players (min. 90 attempts). Made the Angels Opening Day roster...Batted .147 (5-for-34) with three walks, a double, and two RBI in 14 April games... Placed on the 15-day disabled list with a right lumbar spine strain on 5/1, transferred to the 60-day disabled list on 6/11...Appeared with the AZL Angels (one game), Class A-Advanced Inland Empire (seven games), and Triple-A Salt Lake (eight games) while on minor league rehab assignments...Activated from the 60-day disabled list and was designated for assignment on 7/30. Appeared in 26 games for the Athletics, going 6-for-50 (.120) with two triples and three RBIs... Made four different stints with Oakland. Appeared at all three outfield positions in the Majors: 13 games in left , eight games in center and six in right. Spent a majority of the season playing with Triple-A Nashville, batting .256 (102/398) with 13 doubles, five home runs, 25 RBIs and 64 runs scored in 101 games... Stole 25 bases in 32 attempts (78%)... The 25 steals ranked 10th in the Pacific Coast League. Played in 101 games for the Sounds in center field, committing just three errors in 864 innings (.988 fielding percentage). Batted .254 with no home runs, 12 RBI and 20 stolen bases in 94 games in his rst season with the A's…led the A's in stolen bases despite missing 32 games over two stints on the disabled list plus the final 2½ weeks of the season following a concussion…was successful in 20-of-22 (90.9%) stolen base attempts, which was the fourth best percentage in the American League and third best in Athletics history…is now 76-for-88(86.4%) in his career…14 of his 20 stolen bases came off left-handed pitching, which tied for the MajorLeague lead (Altuve, HOU)…has 44 career steals offlefties, 32 off righties…was successful in all 10 of hisstolen base attempts on the road, all eight during the day and all six off right-handed pitching…his batting average, on-base percentage (.319) and slugging percentage (.289) were his lowest of his four seasons with 60 or more games played…the slugging percentage was fifth lowest in the AL among players with 250 or more plate appearances…did not homer and his 232 at bats were 10th most in Oakland history among players with no homers…has not homered since Aug. 21, 2013 against Houston and has a career-high 113-game homerless streak….has an 80-game homerless streak as an outfielder with Oakland, which is the second longest homerless streak byan A's outelder over the last 22 years (99, Ryan Sweeney, 2010-11)…had six doubles and one triple and his seven extra base hits tied for fourth fewest in Oakland history by a player with 200 or more at bats…had 12 RBI, which were second fewest in Oakland history among players with 200 or more at bats to Jose Tartabull, who had 11 in 266 at bats in 1969…batted .308 with 11 of his 12 RBI in Oaklandcompared to .200 on the road…now has a .314 (50-for-159) career average in the Coliseum…hit .271 in 73 games before the All-Star Break, .196 in 21 contests after the break…was 6-for-20 (.300) with runners in scoring position and two outs…hit .185 in interleague play, .263 against AL teams…has a .174 average against the National League over the last two years…had seven bunt hits, which tied for fifth in the AL…appeared in 50 games in center field (35 starts), 29 in right field (13 starts) and 17 in left field(10 starts)…had a career-high eight assists…committed just one error for a .994 fielding percentage…was 2-for-15 (.133) with a walk as a pinch hitter…hit .267 in his 58 starting assignments…started gamesin every spot in the order except third through sixth…saw his most action with 16 starts batting first and16 batting ninth…combined for a .365 batting average when hitting seventh or eighth …was a perfect5-for-5 in stolen base attempts against Los Angeles (AL) and is now 19-for-19 in his career. Batted .280 with two home runs and 22 RBI in 106 games with Texas…had career highs in at bats (246), runs (39), triples (4), home runs, walks (29), on-base percentage (.373), stolen bases (24), extra base hits (18) and strikeouts (46) and matched his best in doubles (12)…was successful in 24-of-27 (88.9%) stolen base attempts, which was the third best percentage in the American League and the sixth highest in Rangers history (min. 20 SBA)…is now 56-for-66 (84.5%) in his career…was successful in each of his 16 stolen base attempts at home…was batting .216 at the All-Star Break but then hit .338 with a .428 on-base percentage in 55 games after the break…his post-break batting average was second best in the AL among players with 150 or more plate appearances (Martinez, DET .361)…his on-base percentage was also second best (Trout, LAA .479)…batted .280 (37-for-132) against left-handed pitchers compared to .281 (32-for-114) against right-handers…connected for both of his home runs and drove in 17 of his 22 runs at Rangers Ballpark…hit .313 with two outs, including .320 with runners in scoring position and two outs…went 3-for-19 (.158) in 10 interleague games but has a .329 (28-for-85) career average against the National League…batted .354 in 22 games against AL East competition…started 49 games in center field and 20 in left field…each of his first 43 starts through Aug. 9 were as a center fielder where he platooned with Leonys Martin…made 20 of his final 26 starts in left field beginning Aug. 10 and hit .330 in 42 games over that span…committed two errors for a .990 fielding percentage in 102 games overall in the outfield…matched his career-high with seven assists…went 6-for-22 (.273) with a double, triple, two RBI and six walks as a pinch hitter…tied for second among American League pinch hitters in hits, ranked third in walks and was fifth in plate appearances (28)…the plate appearances were the most by a Ranger since Frank Catalanotto had 32 in 2000. TEXAS: Made a diving catch of a Darwin Barney liner with the bases loaded to end the game April 16 at Chicago (NL)…hit .209 in April and was batting .208 as late as May 2…then went 10-for-31 (.323) over his next 14 games to improve to .253 as of May 21…went 5-for-37 (.135) over his next 18 games before going on the DL…hit his first home run of the season and matched his career-high with three RBI May 4 against Boston…was hit by a pitch June 18 against Oakland and sustained a non-displaced fracture of his left hand…threw Josh Donaldson out at the plate to end the game June 20 against Oakland…was placed on the disabled list June 23 with the broken hand, retroactive to June 21…went 3-for-13 (.231) in a four-game rehab assignment with Double-A Frisco before he was reinstated July 19…hit .400 (10-for-25) over his first 12 games following his return, including a season-best five-game hitting streak from July 19 to 30 (5-for-13, .385)…was caught stealing for the final time Aug. 12 at Houston… was successful in each of his final 12 stolen base attempts beginning Aug. 14…had a career-high tying three RBI Aug. 17 against Seattle…committed his first error of the season Aug. 25 at Chicago (AL), snapping a 196-game errorless streak…it was his first error since Sept. 25, 2011…the errorless streak was the longest in Texas history at any position…pitcher Tim Crabtree had a 194-game errorless streak from June 15, 1998 to June 25, 2001 and outfielder Tom Grieve had the longest streak for a position player, 182 games from April 25, 1972 to June 24, 1975…his two errors came in a span of 11 games, Aug. 25-Sept. 10…finished August with a .308 batting average in 27 games and then hit .354 with 10 stolen bases in 23 games in September…had the second best September batting average in the AL among players with 50 or more plate appearances (Altuve, HOU .357)…tied teammate Alex Rios for the AL lead in steals in the month…earned Rangers Player of the Month honors for September…now has a .326 (47-for-144) career average in September, his best mark for any month of the season…went 1-for-16 over a nine-game stretch from Sept. 6-18…then went 4-for-5 with a career-high tying three stolen bases Sept. 19 at Tampa Bay…that began a season-ending stretch where he went 18-for 39 (.462) with 10 stolen bases over his final 11 games…matched his season-high with a five-game hitting streak from Sept. 26 to 30 (9-for-18). Started 66 games in center field in his first full major league season, 2nd-most among Rangers...tied for the team lead in hit by pitch (10), tied for 8th in the A.L., and was 3rd in stolen bases (13)...among A.L. players with at least 200 at bats, ranked 13th in average (.304) and 19th in on-base percentage (.367)...led the majors with a .455 (20-44) batting average in June...led the A.L. in Interleague OBP (.512) and ranked 2nd in average at .432 (16-37)...had 6 straight hits and reached safely in 7 consecutive overall plate appearances, June 8-9...drove in game's only run with an 8th-inning single on June 13 vs. ARI...had a game-winning 3-run 8th-inning triple, June 29 vs. OAK...only homer came on April 30 at TOR, the first over-the-fence homer of his ML career...was 2-for-13 as a pinch-hitter, finishing 2nd on the club in pinch-hit at bats...was 0-for-6 in his first 9 games through April 15, then hit .362 (21-58) in next 24 contests, rising to .328 on June 18...went 0-for-10 in next 7 games before producing a .398 average (37-93) in following 36 games and was at .347 through July 23...batted .205 (15-73) in final 45 contests...had a career best 6-game hitting streak, July 15-23...had 5 hits, a 2012 Rangers season high, on June 8 at SF...batted .343 (34-99) against left-handed pitchers, .320 (39-122) on the road, and .381 (32-84) against the A.L. West.STOLEN BASES: Has been successful on 32 of 39 career stolen base attempts with an 82.1 percent success rate, ranking 3rd in team history (min. 30 SB att.) behind 87.3 (48-55) for Alfonso Soriano and 83.5 (157-188) for Ian Kinsler...was thrown out in first steal try of 2012 on April 12 after entering the season 19-for-19 lifetime...successful on his next 8 attempts through June 3 before going 5-for-11 the rest of the season...FIELDING: Did not make an error in 197 total chances in 116 total games...had the 5th most chances without an error of any ML outfielder: 349-Curtis Granderson; 292-Jon Jay; 282-Ben Revere; 224-Desmond Jennings...only Rangers outfielder with more errorless chances in one season is Darryl Hamilton (389) in 1996...committed an error in his final chance of the 2011 season, Sept. 25 vs. Seattle...his career fielding percentage of .994 (2 E/337 TC) is 2nd-highest in club history to Hamilton (0 E/389 TC) among all outfielders with at least 300 TC...was 2nd on the team with 7 assists, 3 of those in a 4-game span, Sept. 19-22...had 2 assists on Sept. 19 at Los Angeles-AL, one of just 2 Rangers OF since 2010 with 2 assists in one game...POSITION PLAYER ON THE MOUND: Pitched the 8th inning in an 12-1 loss on June 4 at Oakland (1.0 IP, 3 H, 2 R-ER, 1 BB, 20 pitches)...marked the 5th time a position player has taken the mound for the Rangers, and first since Scott Sheldon did it while playing all 9 positions on Sept. 6, 2000 at Chicago-AL. Led the Rangers in hit by pitches (6) and finished 3rd instolen bases (18) despite spending the 1st 5 weeks of the seasonat Round Rock...saw action in 60 games in the outfield, starts incenter (33), right (4), and left (one)...his 33 starts in center were2nd-most on club behind Endy Chavez (59)...hit .333 (23-69) athome but just .203 (13-64) on the road...was 2-for-4 as a pinchhitter with 3 RBI and was used as a pinch-runner 8 times...batted.271 (16-59) over his first 25 games through June 20, includingfirst career 3-hit game on June 20 vs. Houston...went just 8-for-44 (.182) next 29 games from June 24-Sept. 7, dropping averageto .233...beginning Sept. 9, hit .400 (12-30) his last 10 games...matched career high with 3 hits Sept. 11 vs. Oakland with careerbest 4-game hitting streak, Sept. 11-17...went hitless in consecutive starts just 3 times, only stretch longer than 2 starts was 3 in arow without a hit, Aug. 20-22-25...drove in 6 runs over 6-gamespan, Sept. 11-23...had 2 errors in 111 total chances...was onMLB's 7-day concussion disabled list, July 28-Aug. 10 after beinginjured while sliding into second base on July 24 vs. Toronto...thatincluded a 6-day rehab assignment to Round Rock, August 5-10...Was 5-for-15 in 13 post-season games, starting Games 1 and3 of the ALDS and Games 2 and 6 of the World Series...posted 2hits apiece in ALDS Game 3 and ALCS Game 6. Gentry appeared in 20 games over 2 stints with Texas andspent the balance of the year at Oklahoma City (AAA) before abroken right wrist ended his season in mid-August ... it is possiblethat Gentry will not be fully healthy for the start of spring training. Joined the Rangers as a September call-up and made his major league debut...batted .118 (2-17) with one double and oneRBI in 11 games/5 starts with Texas...contract purchased from Frisco Sept. 1...played 7 games in center (3 starts) and 2 in right (bothstarts)...made big league debut on Sept. 6 at Baltimore as a defensive replacement in center field...made first big league start (inRF) on Sept. 24 at Oakland, going 0-for-2 with a strikeout...was defensive replacement in 15-3 win on Sept. 26 vs. TampaBay...played final 3 innings in center, going 1-for-2 with a double and strikeout...first major league hit came in first at-bat of that gamein 7th inning against Brian Shouse, a double to right-center field...pinch-ran for Hank Blalock in the 8th inning on Sept. 25 vs. TampaBay, scoring on Ian Kinsler's 3-run homer during that frame, which put the game away...started 3 of the Rangers' final 5 games,appearing in 4 of those 5...went 1-for-4 with a walk and 2 runs scored on Oct. 1 at LA of Anaheim...pinch ran on Oct. 2 at Seattle,scoring go-ahead run in the 9th inning of win that secured a 2nd place finish in the A.L. West...had one outfield assist on Sept. 30 atLAA, throwing out Erick Aybar at third base trying to advance on a Vladimir Guerrero fly out. Split the season between Clinton, Arizona andBakersfield...combined to hit .273 (122-447) with 4 home runs and 31 RBI over 109 games...batted .325 (37-114) over 28 games fromApril 23-May 24...went 5-for-5 with 3 doubles, 2 runs and one RBI, May 14 at Cedar Rapids...placed on the DL with a right-kneesprain, May 31...began rehab assignment with Arizona on June 27 and returned to Clinton on July 2 after 3 games...transferred toBakersfield, July 11...went 17-for-44 (.386) with 4 doubles during a season-high 12-game hitting streak, Aug. 4-17...posted a .359 avg. (14-39) and 16 RBI with runners in scoring position for the Blaze...played Hawaii Winter Baseball for the West Oahu Canefires following the season. Spent first professional season at Spokane...started 55 games in center field and one as the DH...ranked5th in the Northwest League and led the team with 20 stolen bases...also ranked among club leaders in triples (1st, 4), hits (3rd, 62)and doubles (T3rd, 15)...batted .297 (36-121) over his final 30 games...posted 22 multi-hit games...batted .239 (28-117) on the roadand .329 (34-104) at home. April 20, 2019 Albuquerque Isotopes placed RF Craig Gentry on the 7-day injured list. April 12, 2019 Colorado Rockies signed free agent RF Craig Gentry to a minor league contract. April 12, 2019 RF Craig Gentry assigned to Albuquerque Isotopes. March 2, 2019 RF Craig Gentry assigned to San Francisco Giants. September 5, 2018 Baltimore Orioles released RF Craig Gentry. August 31, 2018 Baltimore Orioles designated RF Craig Gentry for assignment. August 17, 2018 Baltimore Orioles activated RF Craig Gentry from the 10-day disabled list. August 10, 2018 Baltimore Orioles sent RF Craig Gentry on a rehab assignment to Frederick Keys. August 7, 2018 Baltimore Orioles sent RF Craig Gentry on a rehab assignment to Bowie Baysox. June 27, 2018 Baltimore Orioles placed RF Craig Gentry on the 10-day disabled list retroactive to June 24, 2018. Left rib fracture. March 29, 2018 Baltimore Orioles selected the contract of RF Craig Gentry from Norfolk Tides. 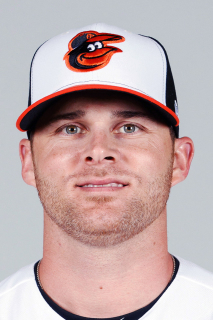 February 24, 2018 Baltimore Orioles invited non-roster CF Craig Gentry to spring training. February 24, 2018 CF Craig Gentry assigned to Norfolk Tides. November 2, 2017 LF Craig Gentry elected free agency. September 12, 2017 Baltimore Orioles activated LF Craig Gentry from the 10-day disabled list. September 2, 2017 Baltimore Orioles placed LF Craig Gentry on the 10-day disabled list. Fractured right finger. July 30, 2017 Baltimore Orioles selected the contract of LF Craig Gentry from Norfolk Tides. July 14, 2017 Baltimore Orioles sent LF Craig Gentry outright to Norfolk Tides. June 20, 2017 Baltimore Orioles selected the contract of LF Craig Gentry from Norfolk Tides. May 16, 2017 Baltimore Orioles sent LF Craig Gentry outright to Norfolk Tides. April 2, 2017 Baltimore Orioles recalled LF Craig Gentry from Norfolk Tides. February 20, 2017 Baltimore Orioles signed free agent LF Craig Gentry to a minor league contract and invited him to spring training. February 20, 2017 LF Craig Gentry assigned to Norfolk Tides. August 3, 2016 Los Angeles Angels released LF Craig Gentry. July 30, 2016 Los Angeles Angels designated LF Craig Gentry for assignment. July 30, 2016 Los Angeles Angels activated LF Craig Gentry from the 60-day disabled list. July 18, 2016 Los Angeles Angels sent OF Craig Gentry on a rehab assignment to Salt Lake Bees. July 11, 2016 sent OF Craig Gentry on a rehab assignment to Inland Empire 66ers. May 20, 2016 Los Angeles Angels sent OF Craig Gentry on a rehab assignment to Inland Empire 66ers. December 9, 2015 Los Angeles Angels signed free agent LF Craig Gentry. December 1, 2015 LF Craig Gentry elected free agency. November 30, 2015 Oakland Athletics sent LF Craig Gentry outright to Nashville Sounds. November 20, 2015 Oakland Athletics designated LF Craig Gentry for assignment. September 8, 2015 Oakland Athletics recalled LF Craig Gentry from Nashville Sounds. May 25, 2015 Oakland Athletics optioned LF Craig Gentry to Nashville Sounds. May 17, 2015 Oakland Athletics recalled Craig Gentry from Nashville Sounds. May 6, 2015 Oakland Athletics optioned LF Craig Gentry to Nashville Sounds. April 27, 2015 LF Craig Gentry assigned to Nashville Sounds. October 2, 2014 Craig Gentry roster status changed by Oakland Athletics. September 30, 2014 Oakland Athletics reassigned CF Craig Gentry to the minor leagues. August 22, 2014 Oakland Athletics activated CF Craig Gentry from the 15-day disabled list. August 18, 2014 Oakland Athletics sent CF Craig Gentry on a rehab assignment to Sacramento River Cats. April 12, 2014 Oakland Athletics activated CF Craig Gentry from the 15-day disabled list. April 7, 2014 Oakland Athletics sent CF Craig Gentry on a rehab assignment to Sacramento River Cats. April 5, 2014 Oakland Athletics sent CF Craig Gentry on a rehab assignment to Stockton Ports. December 3, 2013 Texas Rangers traded CF Craig Gentry and RHP Josh Lindblom to Oakland Athletics for LF Michael Choice and 2B Christopher Bostick. July 19, 2013 Craig Gentry roster status changed by Texas Rangers. July 14, 2013 Texas Rangers sent CF Craig Gentry on a rehab assignment to Frisco RoughRiders. June 23, 2013 Texas Rangers placed CF Craig Gentry on the 15-day disabled list retroactive to June 21, 2013. Non-displaced fracture of his left hand. November 19, 2011 OF Craig Gentry assigned to Leones del Escogido. August 11, 2011 Texas Rangers activated CF Craig Gentry from the 7-day disabled list. August 5, 2011 sent CF Craig Gentry on a rehab assignment to Round Rock Express. July 28, 2011 Texas Rangers placed CF Craig Gentry on the 7-day disabled list. Concussion. May 7, 2011 Texas Rangers recalled CF Craig Gentry from Round Rock Express. March 29, 2011 Texas Rangers optioned Craig Gentry to Round Rock Express. March 29, 2011 Craig Gentry assigned to Round Rock Express. November 5, 2010 Craig Gentry roster status changed by Texas Rangers. August 30, 2010 Texas Rangers recalled Craig Gentry from Oklahoma City RedHawks. August 30, 2010 Texas Rangers placed CF Craig Gentry on the 15-day disabled list. August 14, 2010 Craig Gentry roster status changed by Oklahoma City RedHawks. July 7, 2010 Oklahoma City RedHawks activated CF Craig Gentry from the 7-day disabled list. June 22, 2010 Texas Rangers optioned CF Craig Gentry to Oklahoma City RedHawks. May 30, 2010 Texas Rangers recalled Craig Gentry from Oklahoma City RedHawks. May 15, 2010 Texas Rangers optioned Craig Gentry to Oklahoma City RedHawks. April 27, 2010 Texas Rangers recalled Craig Gentry from Oklahoma City RedHawks. March 27, 2010 Texas Rangers optioned Craig Gentry to Oklahoma City RedHawks. September 1, 2009 Texas Rangers selected the contract of Craig Gentry from Frisco RoughRiders.